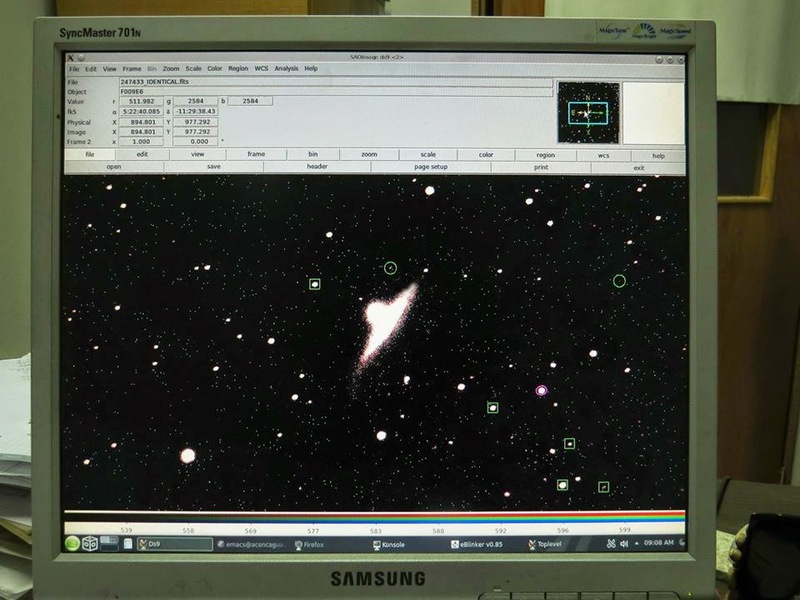 What a Chilean astrophysicist has spotted a Flying saucer on his computer screen? Roberto Antezana found an UFO analyzing images from outer space! And this image is really weird. It ressembles the unidentified flying objects bringing the ‘Green Martian’ on Earth in Mars Attack! But sometimes, such weird phenomena have explanations. In our case, the galactic flying saucer is actually produced by two galaxies colliding. 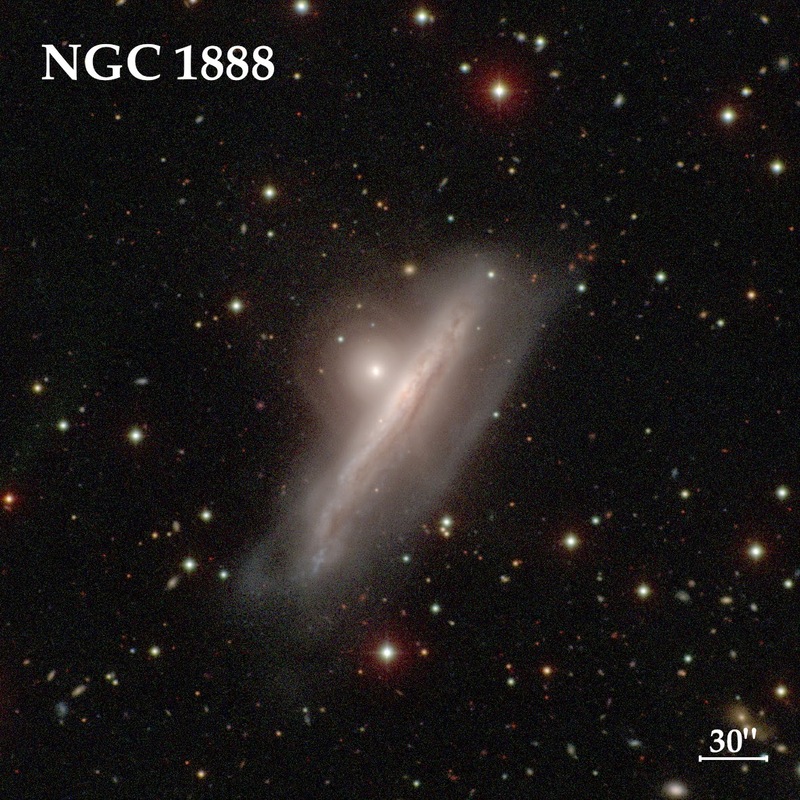 NGC 1888, the largest galaxy, engulfs NGC 1889, the smaller in a process occurring more than 200 million light years from Earth.